In contemporary U.S. politics, the Democratic Party faces a wide variety of structural disadvantages. Its base of support is increasingly concentrated in major urban centers, large coastal states, and among younger voters — while our federal legislature overrepresents the denizens of rural areas and small states, and older Americans vote more reliably than millenials. Democrats also control far fewer state governments, and thus, have less influence over how election law is written, and administered — a liability Republicans have ably exploited. And the party also boasts no propaganda outfit as dogged or influential as Fox News. But Democrats also face a more abstract handicap: As the party that favors a larger role for the public sector, they cannot emulate their adversaries’ nihilistic approach to governance, even when doing so would have clear partisan benefits. Mitch McConnell could afford to prioritize damaging the newly elected Barack Obama over mitigating the Great Recession, because the conservative movement sees undermining faith in the federal government as a feature, not a bug, of obstructing a Democratic president’s agenda. By contrast, Democrats are so nervous about giving off the impression that they are more interested in damaging Trump than responsibly governing, they’ve been dragging their feet in demanding the release of the president’s tax returns, insisting that all oversight investigations of the president be conducted in a bipartisan manner, and wringing their hands about whether probing the alleged misdeeds of the president’s family members — which is to say, of senior White House officials and top executives at Trump’s globe-spanning business — would be in poor taste. Meanwhile, despite the fact that Democrats have an investment in portraying the Trump administration as irredeemably racist, and retaining primary ownership of criminal-justice reform, the party nevertheless lent its support to the president’s deeply flawed prison-reform bill because they believed it represented an improvement on the status quo. Should the economy enter a recession between now and November 2020, Democrats will have every political incentive to deny president Trump a stimulus package. There’s every reason to think they will provide him with one, anyway. But just because Democrats won’t govern as nihilists doesn’t mean they can’t do so as political opportunists. Civic duty might compel the party to support bipartisan bills that greatly advance the public’s interests, even as they undermine the Democratic Party’s electoral ones. But Nancy Pelosi has no obligation to provide vulnerable Republican House members with opportunities to display their bipartisanship on legislation that has zero chance of making it through Mitch McConnell’s Senate. Emboldened by their largest freshman class since Watergate. Democrats say they have every right to draft their dream bills without consulting the minority party. And they point out that they were rarely extended the same courtesy when the GOP ruled the House. … Florida GOP Rep. Mario Diaz-Balart said he, too, expected to hear from Democrats on Dreamers — one of his signature issues in recent years. Democrats unveiled their own plan last week to protect the young undocumented immigrants, with 214 co-sponsors, all Democrats. 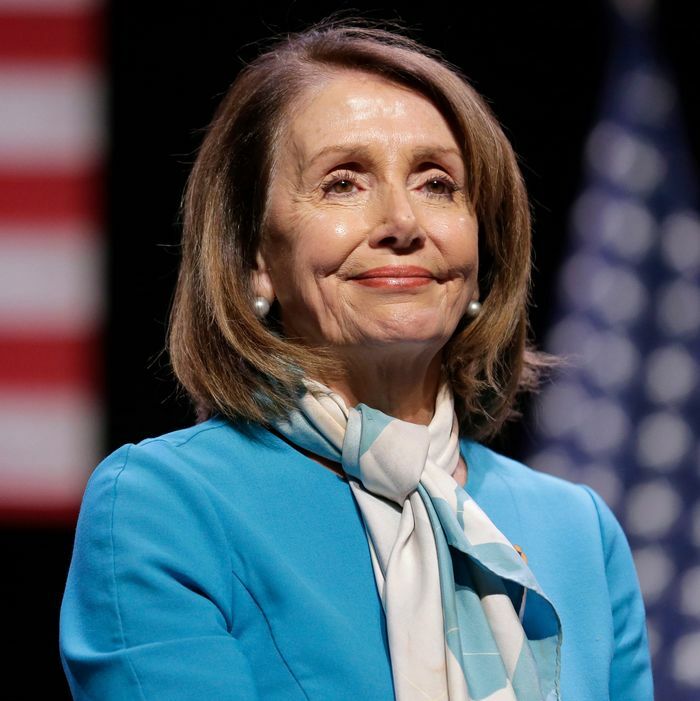 It is unclear whether Democrats are actually strategically denying Republicans the opportunity to perform their bipartisanship; under Pelosi’s leadership the party has already passed a (doomed) bipartisan bill to establish universal background checks for gun purchases. But if Team Blue isn’t taking such an approach, it should be. The contemporary Republican Party is a cancer on the body politic. It is an organization that uses white racial paranoia and voter suppression to entrench plutocratic rule. Its most moderate members in Congress may not be personally racist, anti-democratic, or ideologically extreme — but they are working to increase the power of a movement that is all of those things. If Pelosi can avoid giving them opportunities to establish credibility as moderates — without sacrificing policy progressive policy gains — she absolutely should.